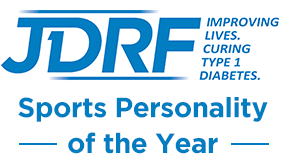 Day 1 - British Universities and Colleges Sports Athletics Championships | Life, Sport and Diabetes - An everyday look at my life with type 1 diabetes. Today was the first day of BUCS Indoors 2017, or the British Universities and Colleges Sports Championships and I travelled, with my team Cardiff Metropolitan University, to the English Institute of Sport (EIS) arena in Sheffield to compete against some of the top athletes in the UK. From a diabetes perspective, day one of the competition is always a little challenging, because it takes quite a few hours from Cardiff, beginning with an early start, to travel to Sheffield. So it also requires a lot of planning, in terms of meal preparation and deciding when and where I will be eating, ahead of actually travelling. This is important because it could be easy to become dehydrated with not drinking enough on the way up, which in me, would cause my blood glucose levels to rise. Furthermore, it's already time to be thinking about fuelling up for the races ahead too. Arriving at EIS, the magnitude of the event hits you pretty quickly, when you see that the top sporting universities in the country are in attendance, contributing over 6,000 athletes over 9 sports for the event. However, this year's event had even greater significance as it received a visit from HRH Princess Anne. Who came to give life time achievement awards to volunteers who had dedicated their lives to sport, without which sports such as athletics just couldn't survive without their hard work and dedication. As day 1 was a rest day for me, it was the perfect time to concentrate on keeping my blood glucose levels in range, staying supple and taking in the atmosphere ready to compete the next day. It's also incredibly important not to get carried away in the excitement so as to avoid a blood glucose level spike, easier said than done I know. But after watching and supporting the team in a great day of heats it was back to the hotel for tea and good night's sleep before racing tomorrow.